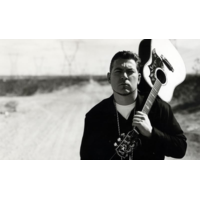 Erik Schrody (born August 18, 1969 in Valley Stream, New York), better known by his stage name Everlast, is a Grammy-Award winning American rapper and singer-songwriter, known for his solo hit "What It's Like" and as the front-man for rap group House of Pain. The group was signed to Tommy Boy Records, and their eponymous debut album (1992) went multi-platinum, spawning the successful DJ Muggs produced single "Jump Around". This song was also remixed twice by Pete Rock, one version featuring a verse from him and one without. The album also featured Cypress Hill member, B-Real, on the song "Put Your Head Out". Fashioning themselves as rowdy Irish American hooligans (Lethal is actually of Latvian heritage), they toured with various rap and alternative-rock bands after their breakthrough. They participated together with Helmet, along with several other rap acts, on the influential 1993 rock-rap collaborative Judgment Night movie soundtrack. The group eventually disbanded in 1996 with Everlast pursuing a solo career. Everlast is also part of the hip-hop supergroup La Coka Nostra, which consists of members of House of Pain and other rappers.